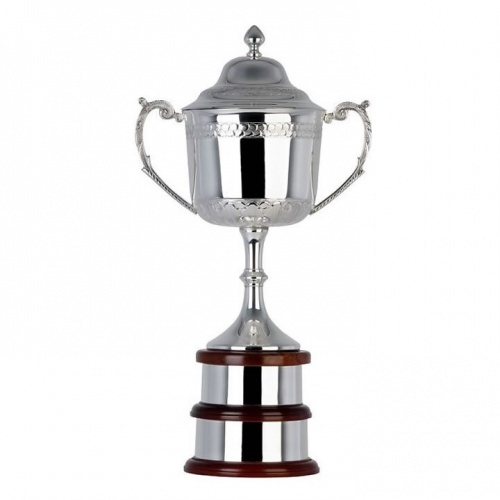 These stunning trophies feature extensive handchased decoration on the body and lid of the trophy cup. This 17in size has a double mahogany plinth and is supplied complete with a silver plated plinthband. Offered with text and/or logo engraving options on the body and/or plinthband.